The singer and songwriter of country and rock music known as BluesRock & Country Inc. has released his fourth LP album, “Rock’n Roll Heart.” The full-length record contains 10 original tracks for an approximate total listening time of 35 minutes. Like previous releases from BluesRock, it has been proudly published as an independent record without the direction of the corporate music industry. Built on deep grooves, twanging guitar strings and raw, warm vocals, “Rock’n Roll Heart” makes a strong argument that BluesRock & Country Inc. may be Southwest Africa’s most genuine rock export. 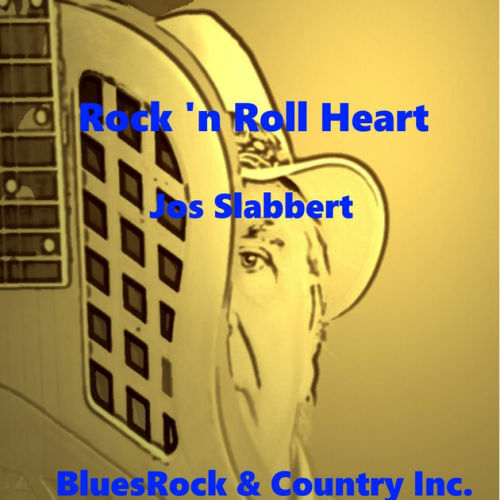 While “Rock’n Roll Heart” officially comes from the BluesRock & Country Inc. project, the true heart of the record is Namibia’s Jos Slabbert, an Afrikaner of French-Irish descent on the coast of the Namib desert. 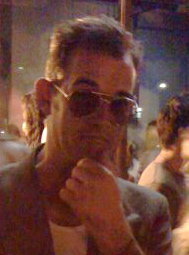 He notes that “Even Elvis Costello does country now that he has become older and tamer.” However, nothing sounds tame about “Rock’n Roll Heart” for listeners familiar with rock music. Songs like “I Feel So Good Today” and “I Need Your Sweet Inspiration” remind us that distorted guitars and a one-two beat aren’t necessary for a driving, aggressively upbeat tune. It would verge on futility to find a saxophone lead on an indie release as effective as Slabbert’s, too. Blues chord progressions and lyric themes color the entire LP, while Slabbert’s singing ranges from an unpretentious Elvis to a less tremulous Neil Young. The blend of country and classic rock-n-roll braids as seamlessly as it does on a Creedence Clearwater Revival record. All in all, “tame” is not the word. “When composing, I often adopt the simple, direct structural approach of the ’60’s and ’70s,” Slabbert writes. This minimalist style of songwriting translates into a friendly-yet-insistent wave that picks listeners up and runs with them. In the end, Slabbert states that there is a unifying message behind his new album. “Rock’n Roll Heart” from BluesRock & Country Inc. is available online worldwide from over 600 quality digital music retailers now. Get in early, blues, rock and country music fans.